Facebook's New Home on Android: Will it Help Google Kill iOS? A while ago, Apple had everything. It had the best maps; it had iTunes, it even had the most important feature that Android didn't have -- social integration. The way Facebook and Twitter blended perfectly with the rest of the phone operating system was a great example of Apple's quality and commitment towards making an amazing product. You could now post a tweet or a Facebook status update by simply clicking a button. This left Android a little behind its archrival Android. Though Android had the official FB and Twitter apps available in its Play Store, social integration built-in, that too from the moment you boot your device, was something that made your smartphone look even cooler. 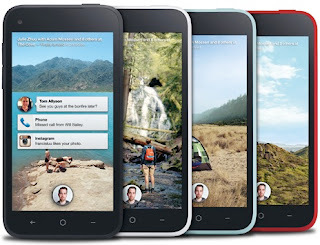 Things changed quickly, however, once Zuckerberg announced the long-awaited Facebook Home for Android. This Android homescreen replacement not just integrated your smartphone with Facebook, it turned the whole device into a living breathing FB feed. Many Facebook fanatics loved the app; however, only a few Droiders preferred to use it. Soon, criticism about its privacy and stability started to emerge. However, as criticized it might have become, Facebook Home soon became a sign of Android's dominance. It was a big sign telling Apple that crowds are no longer flocking to their closed garden. Apple’s dominance is almost over. Having said that, the role of Facebook Home in Google's journey towards smartphone dominance is still unclear. Is it useful or is it harmful? Let's take a look. While the very idea of having photos of your friends pop up on your screen might be revolting to some, Facebook doesn't consider it to be the case. Facebook, taking full advantage of Android's openness, is making sure it becomes a core part of the phone. The social network site is used by millions and millions of users, many of them iOS fanatics. If, in case, an iOS user spots a Facebook Home ad, he or she might go for it and switch to Android giving Google a brownie point. Also, many people might choose to buy an HTC First giving Android the dominance over Google. Facebook Home, in short, becomes probably the richest promoter of Android. Another problem this creates is that it further fragments Android, which is already criticized for being too fragmented. While Google is making decent efforts to unify the Android experience, Facebook Home seems to be heading in another direction. Furthermore, Facebook Home might actually be the beginning of more such homescreen takeovers that will further fragment Android. The third problem that somehow affects Google negatively is its ongoing efforts to create a better social network. While Facebook still remains the king of social networks, Google's very own Google Plus seems to be gaining more and more crowds each day. Google too has a great strategy to convert users to Google Plus by integrating the social network tightly with its flagship devices like Nexus 4. This again, hampers Google’s plans to dominate in the social networking field. Though Facebook Home hasn't been welcomed warmly by Android users, it still remains an important milestone in Android's progress. This, unfortunately, also augments some problems Android has been facing for years. As to how Google will handle this remains to be seen, but, whether it succeeds or not, Facebook Home surely will create some healthy and unhealthy disruptions in the Android ecosystem. What do you think?